Once when he was thirty nine and again four years later when he was twelve. Al soon discovers that time travel requires daring and imagination. It also requires lies, theft, setting his school on fire and ignoring philosophical advice from Grandpa Byron. 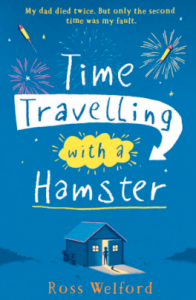 Time Travelling With a Hamster is a funny, heart-warming race-against-time and across generations adventure that you will won’t be able to put down. There’s a bit of the Geordie dialect in all of my books. I thought it would be helpful for some readers – especially non-Brits – to get an idea of how this actually sounds. Only one Geordie word was changed for the US edition, and that was “ha’way”. Ha’way, or “howay” is heard everywhere in the northeast of England, and means simply “come on”. All the ha’ways in the US book were replaced with “come on”. It’s a very distinctive accent, and – among Brits at least – famously difficult to imitate. Poor attempts at Geordie accents usually end up as a cross between a Welsh accent and Anglo-Pakistani: there’s an -up-and-down quality to it that is shared by the others. Non-Brits often have trouble understanding Geordie. It’s said that the singer Cheryl Cole was dropped from the US edition of The X-Factor because audiences had trouble with her accent. From our point of view, well into the 21st century, it’s hard to imagine that not so long ago time travel did not exist. We all know that time travel cannot happen really but it’s strange – to me anyway – to think that it’s a fairly new idea, especially since it is all around us. Doctor Who, Back To The Future, Interstellar, Star Trek, About Time, Bill & Ted, Looper, Life On Mars, Goodnight Sweetheart: these are all TV shows or films centred around time travel (and I didn’t even have to think very hard). But it is the celebrated Victorian writer Charles Dickens who is often hailed as the first writer to send a character back and forth in time. The book is A Christmas Carol, published in 1843. In it, Ebeneezer Scrooge is haunted by a ghost who whisks him back in time to witness a Christmas in the past, and then forward to show him a Christmas in the future. In 1888, the American writer Mark Twain wrote A Connecticut Yankee In King Arthur’s Court in which the hero is knocked out and wakes up in the court of Camelot. As for a “time machine,” such a thing did not appear in fiction until 1895, in a book by H G Wells. The Time Machine was the first to use a mechanical device to make time travel possible. Wells was the first to use the phrases “time machine” and “time traveller”. So it was slow to catch on. Even the original 1960s Star Trek, although set in the future, was sparing in its use of time travel. (The BBC’s Dr Who was – and remains – very keen on time travel.) 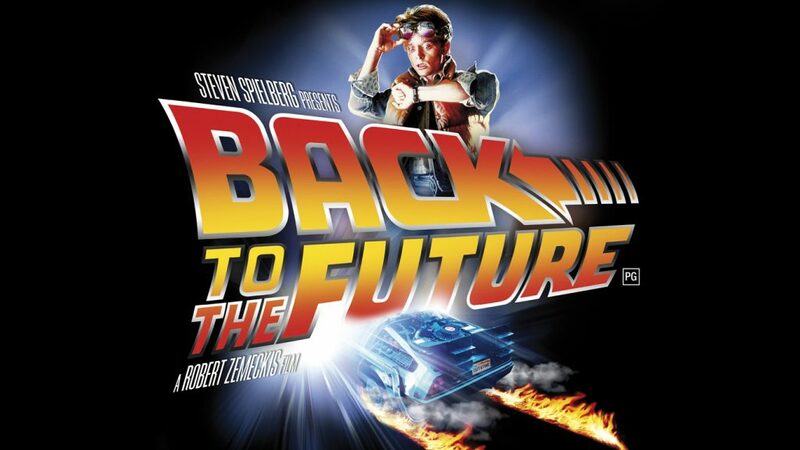 Really, it was not until the 1980s – and specifically with Terminator and Back To The Future – that time travel became firmly established as a fictional crowd-pleaser. I hope that Time Travelling With A Hamster can takes a small place in the history of fictional time travel. At the very least, it is – so far as I know – the only time travel story to incorporate a small pet rodent. 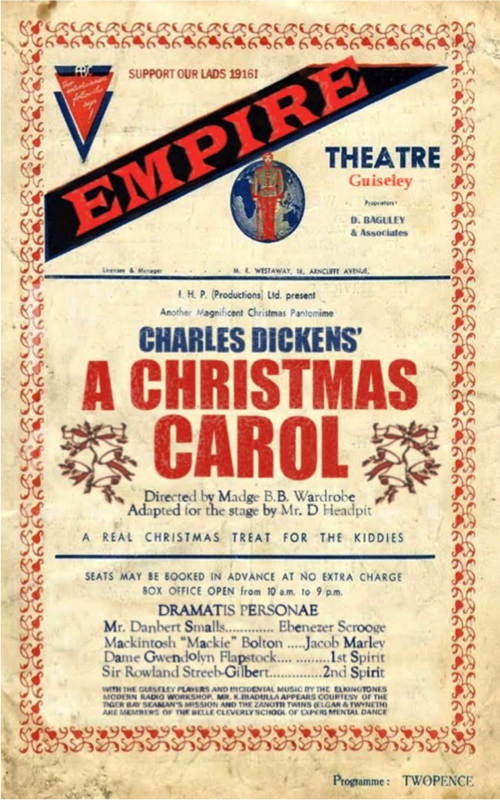 I love the names of the people on this poster for a play of A Christmas Carol. (right) They are all exactly like names from a Dickens novel. Dame Gwendolyn Flapstock! Madge Wardrobe! “The gripping suspense truly makes time fly… the book’s heart and humour are hard to resist." “Intelligent, well crafted and impressive."